Edward and Bridgette ended their stay with the Giants by leaping off a 1,000 foot tall cliff. 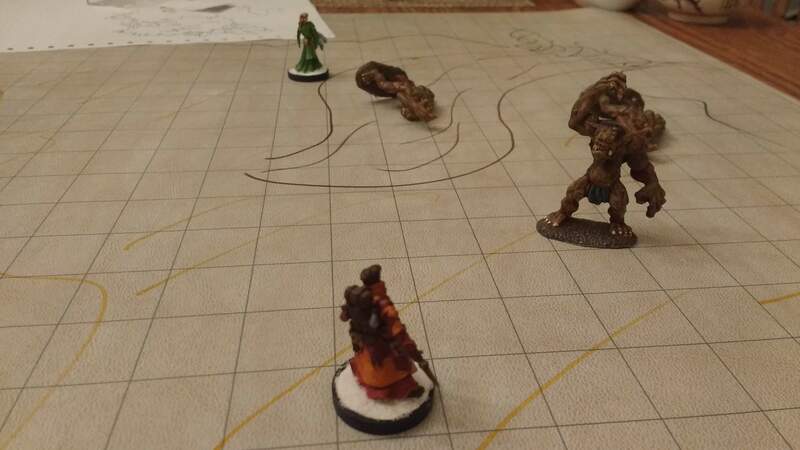 Before their fate was revealed, we converted their characters from Pathfinder First Edition to the new Pathfinder Second Edition playtest rules (update 1.2/1.3). 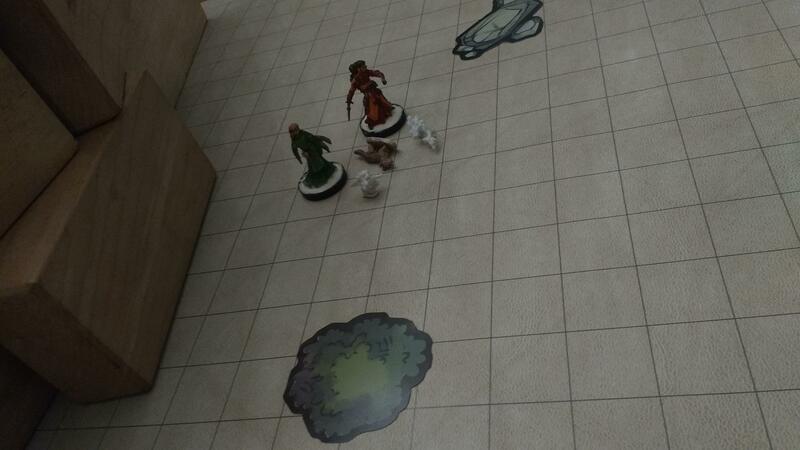 One major impact of this change is that the falling damage they faced increased from 20d6 to a flat 500 damage. Bridgette went through quite the transformation from Hunter to Fey Sorceress with Fighter Dedication. 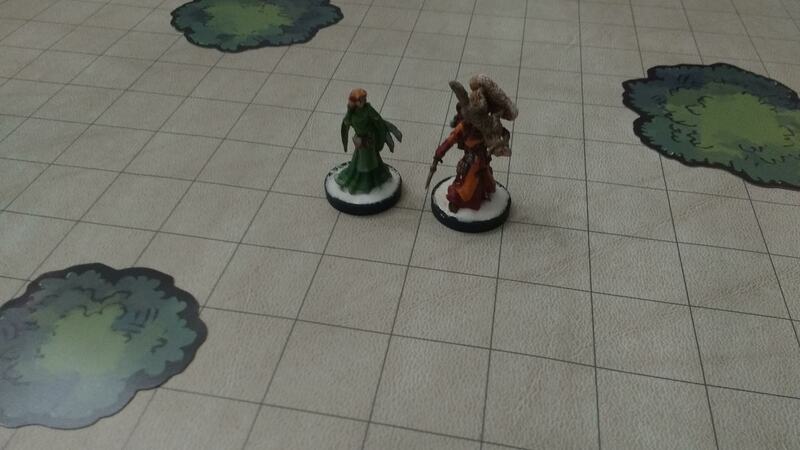 Her player, like myself, hates prepared spellcasting so unfortunately Druid was not an option. I let her swap the Familiar feat for the Animal Companion feat. Edward went from being an Investigator to a pure Alchemist. He lost his inspiration but gained bombs and much more utility in his formula book. I offered to houserule Inspiration as a replacement for bombs but he choose this route for now. I may offer Investigator as an homebrew archetype down the road. Anyway – back to the action! Our two heroes leaped from the cliff, mere inches from a giant’s fingertips and plummeted towards the ground below! Bridgette quickly cast Summon Nature’s Ally and called an Air Mephit to their aid. The weak little Mephit would have been of little help…except that Edward had a potion of Ant Haul handy and quickly administered it to the helpful outsider. Next Bridgette cast Summon Nature’s Ally a second time and called another Air Mephit to help. This one took her rope and tied it to an outcropping on the cliff, allowing them to swing to safety against the rock and then slowly climb down to safety. Descending the cliff with the aid of the rope and the mephits the duo soon reached the valley below. Bridgette’s wolf was still asleep from the drug Edward had given it while they were the guests of giants. The air mephits dissipated soon afterwards. 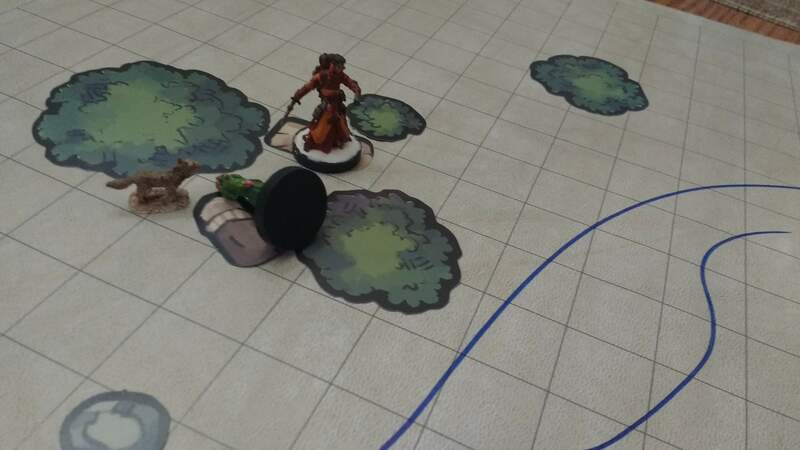 Bridgette was still sorely wounded but, rolling very well on her perception check, she deduced that the Giants had not quite given up on their meal. So she pressed on with Edward deeper into the valley. Edward had the honor of carrying Bridgette’s still unconscious wolf. Bridgette noted some luminescent fungus and more of the strange glowing berries that Spazzlethrop had traded for a few days ago but did not gather any of them. She also spotted strange rocks floating in the sky and a castle built on top of a massive floating boulder. The two made camp in some underbrush by a river. Edward took first watch and made use of ‘Treat Wounds’ – a new use of the Medicine skill – to patch Bridgette up. Around mid-morning Edward spotted a Giant with a massive spear climbing down the cliff and decided to stay put instead of exploring the countryside. Later, Edward woke Bridgette and let her take watch. She observed the local flora and fauna, gathering enough food from nearby to feed herself… She also found some floating rocks and broke a piece off to give to Kendra. Later, spotted a Giant stalking through the wilderness a few hundred yards away and decided to lay low after that. After the spell wore off, Edward and Bridgette followed the river until it took them to a fjord. Looking out over the largest expanse of water they had ever seen they could vaguely make out large ice structures crossing the water. Edward, using his Academia Lore, remembered reading of the militaristic Frost Giants who dwelt in castles made of ice… If they could make castles of ice perhaps ships were not too far fetched? In the distant, across the fjord, they could see a massive tree towering over the mountains that surrounded it. Far larger than the entirety of their home valley, this tree spread boughs up into the clouds and gigantic birds flew around it’s branches. They spent the next two days traveling along the fjord towards what must be the “World Tree.” Along the way, they were introduced to salt water for the first time and found the following. Eventually they came to a massive root that had pushed through the mountains. Noting that a tunnel had formed around the root they decided to explore it when Edward noticed that several Lesser Trolls were camped there. Getting the drop on the Lesser Trolls, Bridgette sneaked into position and Edward threw a smoke bomb in to flush them out. Unable to sense Bridgette, the Lesser Trolls focused their attentions on Edward and soon ganged up on the Alchemist. He made swift and deadly use of his alchemist’s fire to slay one. Bridgette then opportunistically sniped at one with her shortbow and killed it. Or so it seemed. A few seconds later the Lesser Troll twitched and then removed the arrow from it’s neck. She put another arrow into it…but after a few seconds it started to move again. 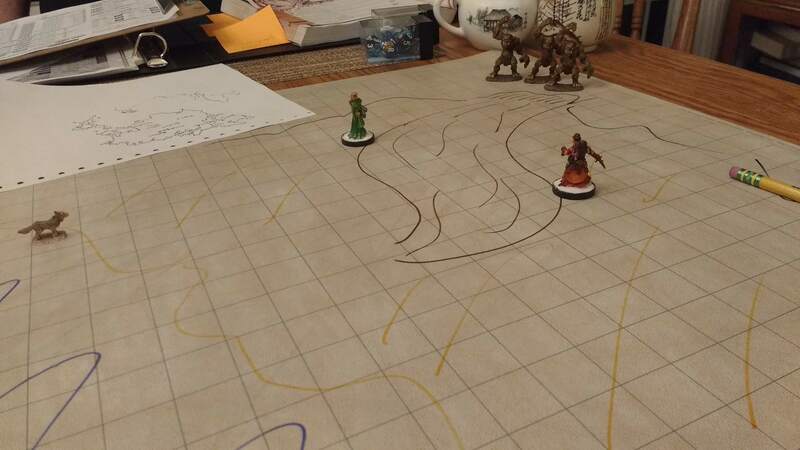 Finally, noting that the Lesser Troll slew by alchemist fire didn’t get back up she cast Produce Flame and set it on fire. That seemed to do the trick. 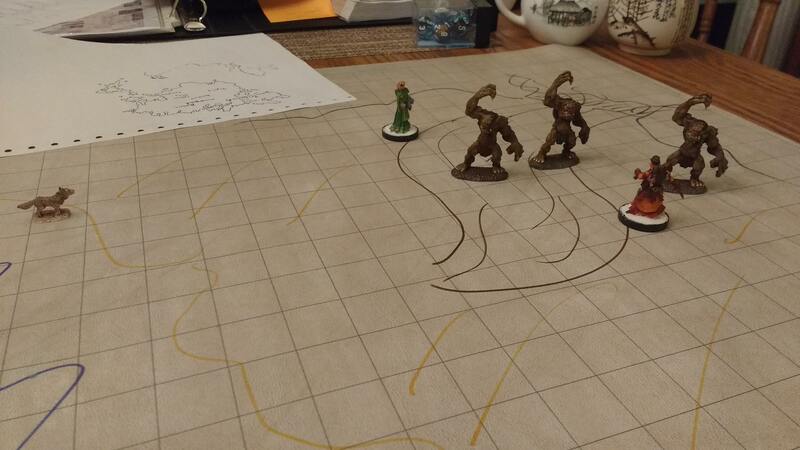 Edward took a few mean hits but slew the remaining Lesser Troll with an alchemist’s fire. Most of the Lesser Troll’s equipment was burnt but Edward did manage to recover an Obsidian Dagger(???). He pocketed it for later identification. Bridgette took the time to tend to the portions of the root that had been burnt and then the two of them proceeded into the passage.